Accountable for the creation, interest generation, production, and delivery of consultative services to external bars to include facilitative services, provision of operational advice and counsel, and expert operational analyses. Conducts facilitations and presentations targeting the enhancement of bar association leadership, management, and board operations for various bar associations. Provides input and ideation to the Bar Leadership Institute that generates customer interest, generates appropriate programming, drive future consultative services by individual bar associations, and delivers participant value. 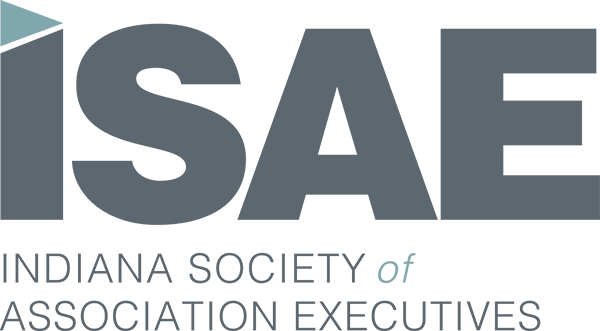 Cultivates existing and fosters new relationships with state, local, and specialty bar associations, including outreach to new/incoming bar associations executives. Participates in field service programs, including state bar leader events and other conferences. Develops and maintains and awareness of association and not-for-profit organizational trends, challenges, and opportunities and creates consulting markets to address such trends. Supports collaboration between the Division of Bar services and the affiliated organizations and their staffs by contributing to the development of programing and the coordination of services. Identifies best practices of bar entities and operationalizes such practices in the development and delivery of consultative services. Contributes to the development of marketing plans for current/potential services/initiatives for various bar audiences. Serves as the liaison to one or more internal ABA entities and member volunteers and collaborates on opportunities to promote ABA services to constituent bar associations. Accountable for delivering superior consultative services and informational requirements fulfillment while concurrently generating positive revenue for the ABA. Possession of a Bachelor’s degree from an accredited college or university. At least five years’ experience in a non-for-profit/association organization which must have included responsibility for organizational governance, strategic planning, group facilitation, and affiliate relationship management. At least five years’ experience in project management, distilling complex and varied data into concise and actionable programs, operational budget management, and presenting finding/public speaking to interested groups. Previous experience utilizing social media as an integral part of market development, enhancing customer awareness and engagement, and/or assisting bar associations with appropriate messaging and content. Previous experience in curriculum/program development. Previous experience providing consultative services to various clients that deliver exceptional value for the customer and positive revenue for the consulting organization. Previous experience providing coaching, counseling, feedback, performance appraisal, and, where appropriate, applying discipline to an assigned group of employees. Functional experience in a marketing role. The American Bar Association is one of the world’s largest voluntary professional organizations, with over 400,000 members and more than 3,500 entities. It is committed to doing what only a national association of attorneys can do: serving our members, improving the legal profession, eliminating bias and enhancing diversity, and advancing the rule of law throughout the United States and around the world. Founded in 1878, the ABA is committed to supporting the legal profession with practical resources for legal professionals while improving the administration of justice, accrediting law schools, establishing model ethical codes, and more. Membership is open to lawyers, law students, and others interested in the law and the legal profession. Our national headquarters are in Chicago, and we maintain a significant office in Washington D.C. The ABA offers competitive employment benefits which include medical, dental, vision, life and disability insurance, flexible spending accounts, a 401(k), commuter benefits, and more.